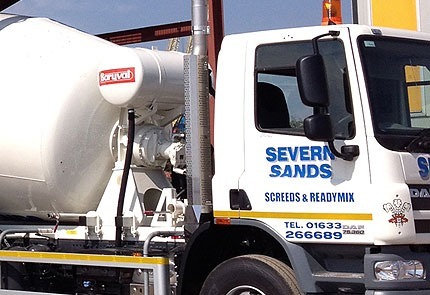 Severn Sands Ltd is major suppliers of all forms of readymix concrete suitable for major construction sites or the basic DIY project. Their state of the art ready mix system allows us to create exact mixes, ensuring the ready mix concrete delivered to you is perfect for your particular application. They prepare loads from half a metre upwards, with a number of concrete mixer trucks and drivers on site allowing us to deliver up to 300 cubic metres of concrete per day. They are able to create the perfect concrete Bristol mix for your application, please contact them for further information.